Is it really any surprise that the MPAA suddenly took notice of the case after the EFF filed an amicus brief? The MPAA had to step in and argue why it should be allowed to continued to file millions of DMCA takedowns without having to be that careful about bogus takedowns, because actually having to make sure a work is infringing would be too much work. So, the MPAA basically says, “we should be allowed to stifle free speech with no consequence because OMG PIRACY@!@! !” Yes, that’s a paraphrase, but that’s the crux of the MPAA’s argument. Like most everything else Techdirt has written about the lawsuit, it gets to the heart of the matter. However, like other published reports on the lawsuit, it gives short shrift to the underlying dispute, claiming that it is silly. I’d like to explain why the underlying dispute is not silly at all, but is deadly serious. I imagine that people unfamiliar with the history of the case might have been thrown off by the fact that it was triggered by Gina’s incredibly immature posting of herself making an obscene gesture to me, but that was simply the way that she learned about the DMCA process; it has nothing to do with the underlying issue. As I detail in the legal briefs, the underlying issue is that Gina wanted to silence my voice on the Web because she disagrees with what I have to say. She’s not alone in her feelings; I am anathema in natural childbirth circles because I aggressively challenge their attempts to deny the historical and scientific evidence that shows childbirth is and has always been inherently dangerous, modern obstetrics has dramatically reduced both maternal and neonatal mortality, and most of what NCB advocates believe is stuff that they simply made up. In my efforts I am no different from paleontologists fighting against advocates of intelligent design; no different from climate scientists fighting against those who would deny global warming; and no different than physicians fighting against anti-choice activists claim (erroneously) that abortions cause everything from breast cancer to depression. Perhaps at first blush the lawsuit appears to be about two women arguing over “women’s stuff.” But this “stuff” is a matter of life and death. On a regular basis I share stories of babies and mothers who have died because women rejected medical science at the behest of natural childbirth advocates. Far from being silly, the underlying dispute is deadly serious. If someone can abuse the DMCA process to silence me, it opens the way to others using the DMCA process to silence the immunologists, pediatricians and public health professionals who promote vaccination. It opens the way for climate denialists to use the DMCA process to silence the professionals who have warned us about global warming. And it opens the way for anti-choices activists to use the DMCA process to silence the doctors who point out their lies. This is about something far more serious than the immature gesture of one blogger now immortalized in the Federal Court Files. It’s about protecting those who convey scientific evidence from those who prefer to pretend that scientific evidence doesn’t exist. You nailed it right there. The IT world sees itself as a man’s world, all about men’s issues, and women’s stuff is by definition silly and tangential to “real issues”. 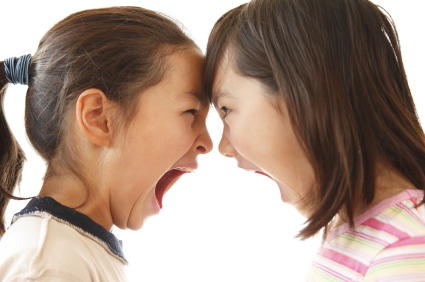 Girl fights (not women’s fights) are catfights – silly, if sometimes entertaining. They are “drama”, not about serious issues. I’m married to a female programmer and we have to deal with this sort of unconscious sexism all the time. Anyway, I share this all to say thank you for doing what you do, and for standing up to the pushy pushers of eschewing science in favor of the natural health industry. This is not a petty fight, it’s life and death for many people. You’re welcome. I’m so glad that the blog has been helpful for you. over “women’s stuff.” But this “stuff” is a matter of life and death. And at a simple level, your “stuff” may save lives, Gina’s contribute to women making very poor decisions. Dismissing anything to do with childbirth as “women’s stuff” seems to me rather prevalent, and deeply suspect. The sexism of the tech world never ceases to amaze and dismay me. On the other hand, Gina’s antics, from the finger picture to her insistence that this is all happening because Dr. Amy is a bully, do create a barrier to anyone who wants to discuss the very serious core of the case. Hellloooo?? Do you want people, including idiots like Gina, to have the freedom to silence serious independent voices on the Web? Because that is what is at stake here. How can she say that? I thought all this was happening because Dr Amy improperly used a copyrighted photograph? If Gina is actually _insisting_ that this is happening because Dr Amy is a bully, then it is a blatant admission that her antics were not legally proper. Her whole first motion called Dr. Amy a bully at least four times. It was the core of the argument. It is outrageous that anyone would say this is silly. I bet if it were two men arguing over a life-and-death matter, no one would say it’s silly. I am not usually paranoid about misogyny, but in this case it’s completely obvious. I think it’s fair enough to say that pulling the finger was silly, but that was entirely from Gina’s court. Perhaps that old saying that arguing with idiots brings you down to their level applies here. Guilt by association. Still, it’s hard to counter NCB and find yourself not arguing with idiots – or at best irrational, hard-nosed ideologues that resort to idiotic tactics and heartless arguments when cornered. I am glad this was said. I don’t agree with everything Dr. Amy says but that’s not the point-I don’t have to agree. What Gina did was atrocious and should be legally addressed. I honestly don’t know why people follow her. She’s rude beyond belief, a bully and certainly no feminist (not even close). Additionally, I hate how she has turned this into HER being the victim. Being able to be the victim in every situation is her anti-feminist superpower. I always thought feminism was supposed to make women stronger, not more fragile. Let’s compare and contrast. Dr Amy — lets people post whatever they want, no matter whether they agree or disagree. No matter whether they are posting productive posts or simply abusive ones. I’ve seen one (1) post deleted in the months I’ve been posting here regularly … and that was after days of warning to that individual. And not because the post was abusive or critical but because it was off topic. Gina wields the banhammer like Thor in a lightning storm because she is so fragile she cannot tolerate dissent. Hmm, who’s the real feminist here? Compare and contrast the women who comment here — who can provably have strong disagreements with each other without “I’m never talking to you again” and without allegations of “you hate me” — to what we continue to hear about TFB (her facebook, anyway, as that is still public). I have seen two other posts deleted/posters banned. One for being abusive to other posters, and one for essentially threatening suicide. Was that last one actually Gina? The posters hear are generally funny, articulate and smart. My grammar and spelling isn’t always perfect, but I like that most people here aim to write in a way which is easy to read and is grammatical with well though out arguments backed by evidence (not “ur baby wud b ded if u birth wit a CPM grl !!!!111!!!”). There is actually LESS name calling of other posters here than on other sites, even when people disagree with each other, they can usually do it in a mature way ( there is very little foul language directed towards others, for example). People here also have extraordinary tolerance levels for trying to speak to those who come here to “tell it like it is” and make sure we know how “educated” they are about birth. Very little of the commentary is actually about Dr Amy, and cheer leading her- even if we all agree, relatively few of the posts are “Go Dr Amy! Preach it!” compared to the constant rain of “aren’t we all super!” you can sometimes get. If it turned into that, I’d be gone. I have to say, I never really get the extreme “no drama, only be supportive” boards. What use is discussion if you can’t have give and take or disagreement? It’s not discussion, it’s just a lot of people saying things. Give me thoughtful criticism any day of the week, of TFB, midwives, Dr Amy, me, Squillo, Liz, and especially Eddie.. But not AllieP. No one disses Allie. I love how all these folks fly in here and get all offended at either things Dr Amy says, or how people respond to their comments. It’s pretty amazing how people can take comments from anonymous strangers with whom they have never interacted before so personally. That’s about as impersonal as you can ever get. You perfectly captured what I like so much about this site and the commenters here. Regarding what Bofa said, I agree: I find the “no drama, just be supportive” concept to be more harmful than helpful. I can understand its value in a small number of time-limited circumstances. *Immediately* after a terrible tragedy caused by an error in judgement may not be the time to be completely honest. But then again I’m not even convinced that that is true. I’d just say that more tact and gentleness is called for at that point in time. I find that polite untruths usually do more harm than good, excepting the littlest of white lies. But it’s not as if we hound those people in any way at all. Bullying requires you to actually pursue the object of bullying so that they cannot get away from it. We just don’t do that. When I was in college, a depressed friend stuck himself in my dorm room for a period of weeks; it was the center of where everyone hung out. I was the roommate who finally kicked him out. He had a place to live. One third of my friends quietly expressed surprise that I put up with it as long as I did. Another third took his side, that I was a meanie. I heard back through friends that they were hanging out at his place talking about how mean I was to kick him out.So the f what! Why would I care? I was supposed to be hurt and upset about that? Someone on the other side of town calling me names just doesn’t bother me. It shouldn’t bother other people. It is unproductive and self-harming to be so and remain so fragile. If your mental health requires the whole world to walk on eggshells, then the problem is not the world. The whole concept of “just be supportive” basically teaches people who to be fragile instead of strong. Yes, this. I would add that bullying requires that the aggressor exercise some power over the victim. It’s very fashionable now to call anyone who makes another person feel bad a bully. We’ve become a society so terrified of being offended–even (or maybe especially) those who pride themselves on often giving offence–that using the legal system to prevent it is seen as acceptable. Now, now, ladies. None of this is nearly as important as having your youtube video turned off. Babies dying, silencing critics…pffft. Small fries. I’ll go so far as to say that Gina’s picture that kicked this all off is silly. (And immature, and attention-seeking, and many other things.) That’s it. Techies are known for their tunnel vision, and can be just as extreme and dismissive as anyone else. I also suspect that a lot of techies don’t see this discussion as important because they dismiss Gina out of hand and assume that others will as well. Because my wife and I have not personally run into NCB extremism or its effects on the medical world such as BFHI, it I were naive it would be easy for me to dismiss Gina as a harmless nut and wonder why anyone would even waste their time challenging her or her ilk. I think that is some of what you see. Naivete and not understanding the context. With global warming deniers, their effects are very obvious — turn on any radio talk show and you’ll hear it or its effects. The anti-vax people are having an obvious effect and we’re seeing diseases gone for decades return. I believe many techies, however, do not see the effects of the NCB movement, so they see people working against the NCB movement as people tilting at windmills. Watch how quickly these individuals will wake up when they personally run into the negative effects of the NCB movement. Is there sexism as well? Certainly. A significant minority of techies I run into are sexist. But of the ones I’ve run into in my life, through college in multiple states, graduate school, and my career, a minority to be sure. There is also a more subtle sexism at work, as others have mentioned before, where people are not deliberately being sexist, but are unwittingly being so. But these by themselves are not the whole effect of what you’re running into. I’m with you — this battle over how children should be birthed and raised is an important one. Those who dismiss it are either missing part of the point, being naive, underestimating the scope and goals of the NCB movement and their ability to reach their goals, or … are sexist or are part of the NCB movement and blinded by woo. Techies are parents too. I wonder if many of them will think back to this when they have partners expecting? Sigh… Or when they themselves are expecting? You’re right, That was sexist of me. I assumed that most of them were men. As should be obvious from my constant postings, I think challenging NCB is important because to some extent, we are all potentially victims of it. Homebirth may be a small niche concern, but regarding childbirth and mothering as “women’s stuff” and a kind of passive acceptance of its influence is much more widespread and insidious. It feeds into a kind of mindless acceptance that makes “baby friendly” hospitals seem cosy and benign and the view that a natural birth is the easiest, most obvious thing going. As, unfortunately, that is false, it greatly adds to the sum of human misery AND affects political and legal matters. I completely agree with you. I complete reject the concept of “men’s stuff” and “women’s stuff,” to the occasional dismay of my kids who hope to use those ideas to get out of tasks they don’t want to do. While I think many techies find NCB and related ideas eminently ignorable and figure that most people would just dismiss it out of hand, I think it’s dangerous to ignore it. They may be a fringe group, but they have an outsized political effect and are becoming more mainstream. I’m so tired of anything of interest to women being handwaved as foolish. Really, REALLY sick of it. I am SO glad you finally said this. It was really getting me pissy.